If you're dreaming of jetting off into the sunset and living the hedonistic life of the super-rich, then Mega Glam Life is the slot to play. Betsoft's 2015 release features five reels and 20 paylines and is loaded with an expensive progressive jackpot wheel for those who gain VIP bonus entry. With a 92.02% return-to-gamer level, this slot is relatively volatile, but it's well worth playing for the chance of big wins. 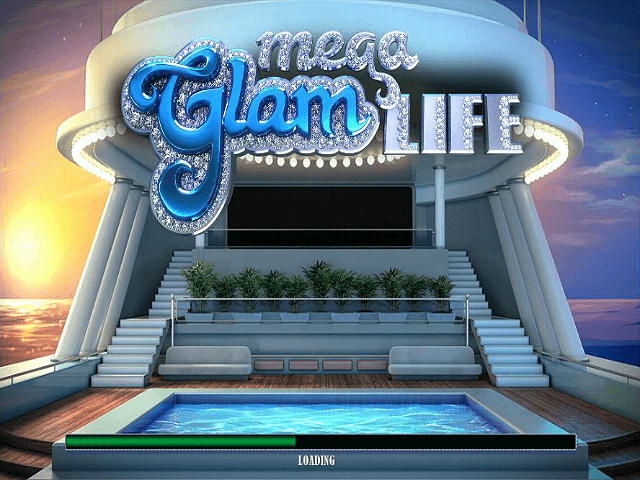 Play Mega Glam Life Slot Demo for Free! 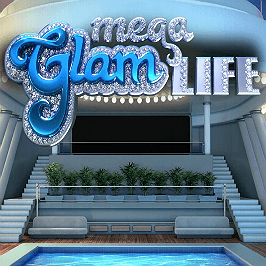 Play Mega Glam Life for Real Money! Mega Glam Life is all about being filthy rich – with a slotscape straight out of Marbella. Loading up this chilled-out game takes you aboard a pristine super yacht, as you sail away into the sunset sipping champagne and playing casino games with your VIP guests. The relaxed soundtrack has a low-key ambience – but the iconography spinning before your eyes is seriously glamorous, with super yachts, sports cars, silver watches, champagne on ice and diamond encrusted letters all the rage. With sunset scatters, private jet wilds and money wheel progressive jackpot games onboard, this slot has the potential to be very rewarding for the lucky. 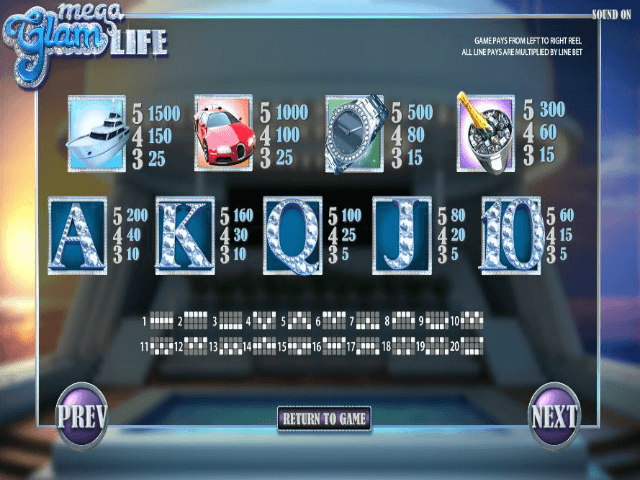 If you like to have a few progressive jackpot games in your regulars, Mega Glam Life is worth checking out. 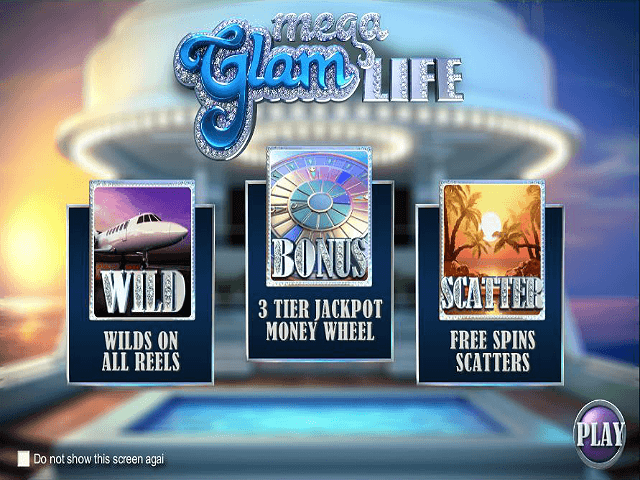 One major reason to play Mega Glam Life is the slot's three-tiered progressive jackpot pool. It’s ideal if you like to set aside some of your gaming budget specifically to chase a big win while sticking to an enjoyable budget. 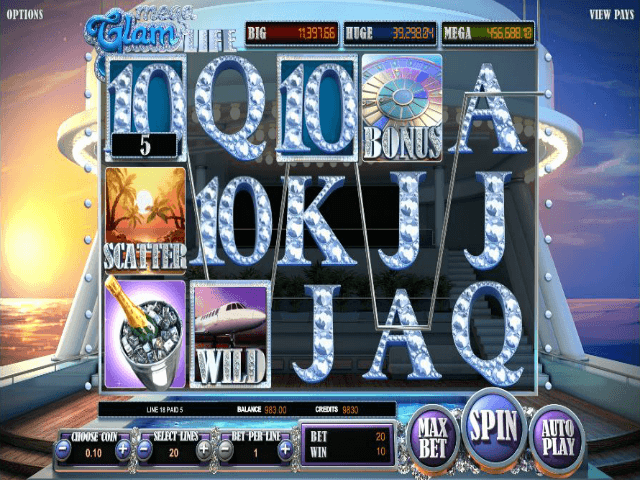 To gain VIP access to spin the Mega Glam money wheel, you need to get three bonus icons on reels two, three, and four; then spin to win prizes, and potentially land a progressive. The private jet wild acts as a classic wild to substitute for other icons, except for the scatter and bonus symbols. As an extra, three or more wilds cause them to be frozen during the next spin. Glammed-up Verdict: Mega Glam Life is a high-action slot with a rich theme that’ll appeal if you dream of living the jet-set lifestyle. In practical terms it's a high-action game that's good for sessions where you want to try your luck at big jackpots. Share this Mega Glam Life Review today! If you like Mega Glam Life, you'll love these slot titles too!